I was asked by the ward I live in to make two cakes for a luncheon with the stake. (ever ward donated 2 cakes each). They were used as the center pieces for the luncheon and then eaten at the end. While the cakes didn’t need to be fancy I figured any time I get to make a cake with no set design I might as well try something I haven’t done before. For the first cake I went with this swirl design. It seemed simple enough in theory. But it’s just so DRY here in UT. 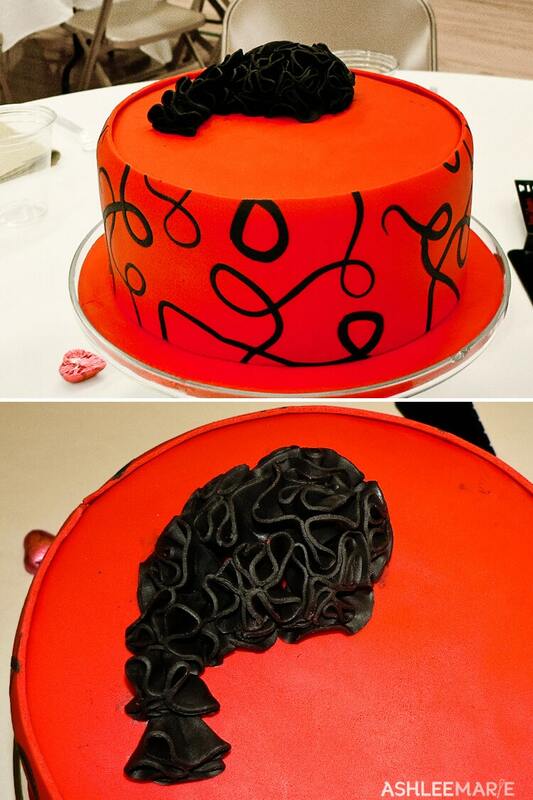 I had to try it 4 times before I got the swirls to actually stay stuck to the fondant wrap. I think next time I’ll use a humidifier in the room with me and see if that goes better. 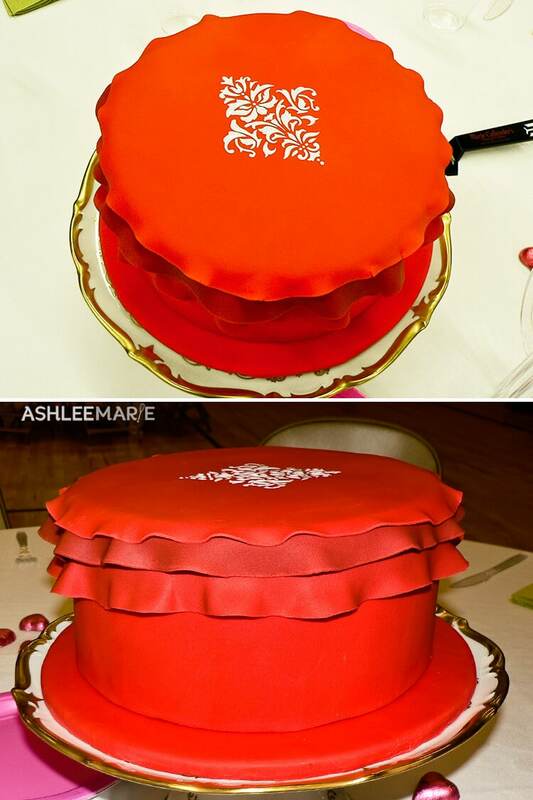 For the second one I wanted to try this fondant ruffle cake I’d seen. Of course when I went to go find a picture of the cake I was thinking of I couldn’t find it anywhere. I guess I need to figure out some new search words, and save pictures I like better for inspiration. I’m not pleased in how this one turned out. 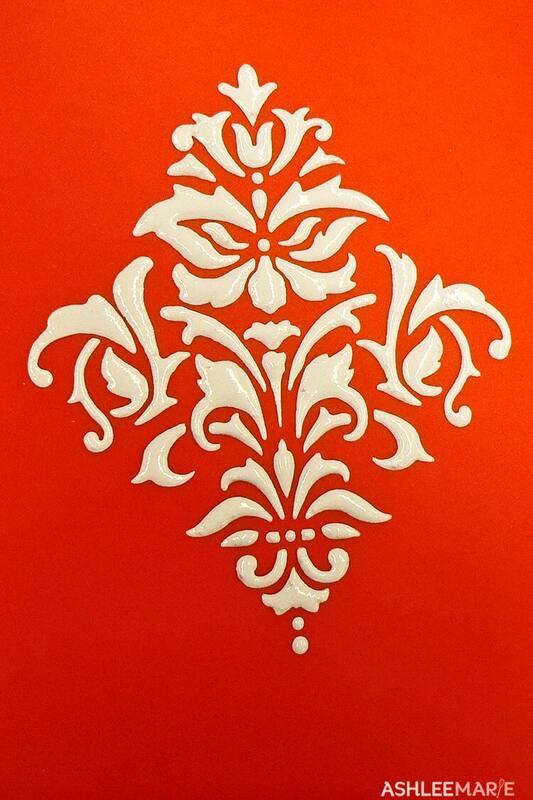 It was missing something, a big flower topper or something, so I decided to try my new stencil with royal icing technique again. I used a different stencil this time. I LOVED the way this turned out, and wished I had just done this around the whole cake instead. Oh well. I think I figured out how to make the ruffles work better next time. I need a larger ball tool, and larger foam pad. I still think it could be really pretty, so I’ll try it again sometime. In the end of course they were way fancier than they needed to be. But I got rave review for how they tasted, and in the end that’s really the most important part. What’s the point of a nice looking cake if it’s not completely delicious? I decorate for myself, I enjoy it and find it fun. So while I’m glad people like the cakes I decorate, I’m more pleased when they like how it tastes. I used my Favorite chocolate cake and my pistacho Mousse recipe for filling. With Ganache frosting. My favorite combination!